During the mid-1960’s, Bishop Clarence Groover worked for the National Aeronautics and Space Administration (NASA) as a Mathematician and Assistant Data Processing Engineer for the Orbiting Astronomical Observatory Satellite (OAO-A2). 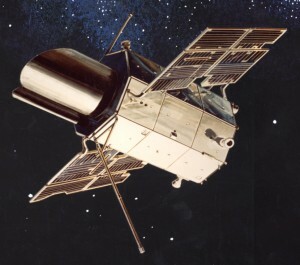 The OAO-A2 was an unmanned spacecraft including 11 ultraviolet telescopes. One objective of its mission was to obtain scientific data over a range of star magnitudes and ultraviolet wavelengths. The ultraviolet light emitted from stars was of more interest to astronomers in studying the formation and composition of stars. However, ultraviolet light from stars is absorbed by the earth’s atmosphere and never reaches the ground observatories. To overcome the veiling affect of the earth’s atmosphere, the OAO-A2 had to be placed in a circular orbit above the earth’s atmosphere. Observations of the selected stars were then made, the data were transmitted to a ground-recording site, and final, acceptance of the processed data was completed by participating experimenters. The spacecraft had six solar panels that recharged the batteries that supplied the power to the electronic equipment on board. Little did Bishop Groover know, that one day 46 years later, the Fisherman of Men Church would be powered by solar panels similar to those found on the OAO-A2! The low-cost, high-efficiency advanced solar converters turn sunlight into electricity for immediate use. 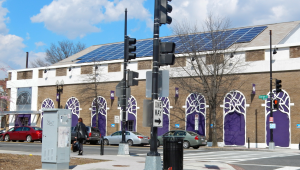 In March 2014, after a decade of building renovations, the Fisherman of Men Church installed a 52kw Solar Photovoltaic System to produce its own electricity using clean renewable energy from the sun. 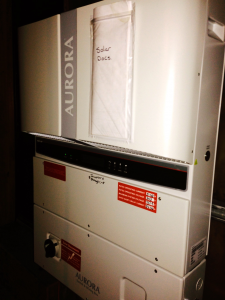 Solar energy is captured by the PV panels and fed into the invertors. The invertors convert DC energy into AC and distribute it into the church. The Fisherman of Men Church now use God’s sun to power its facility, while still relying on God’s Son Jesus Christ to power their everyday lives. With the light from the sun, the Fisherman of Men Church shines as a light for Washington, DC! 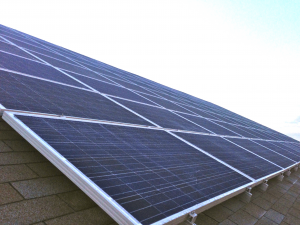 The two main benefits for installing solar panels in a church are financial and environmental. The elimination of the current electric utility bill and any increases that would be taking place in the next 25 years. 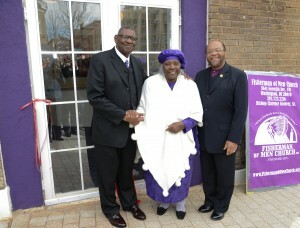 The ribbon cutting and dedication services for the modernized facility took place on April 5-6, 2014, and included keynote speakers: Presiding Apostle Robert Sanders, Sr., and District Elder Christopher Goode, respectively.